At Resellerclub, you can trust our Account Managers to not only offer you advice on mustering numbers, but also provide the required support and understanding of the market for launching & running a business. 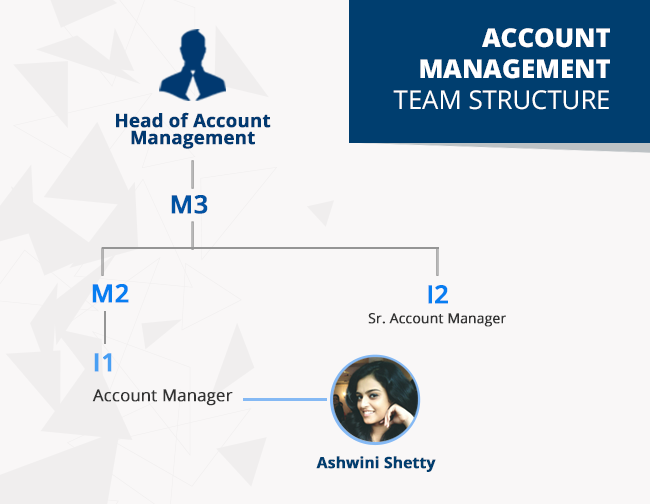 Ashwini Shetty, our chirpy Account Manager’s role in a reseller’s business sets the benchmark for the care and nurturing a business needs in its nascent stage. Ashwini Shetty has been around for a little over a year and has already created a telling impact at ResellerClub. A keen observer and a quick learner, it took Ashwini no time to get a grasp of this at-times tricky industry. Her understanding of resellers’ businesses and their needs in such a short period is commendable! Amit wanted to venture into the hosting and domains business, but with resources not adequate enough to allow him to take off, Amit needed guidance on how to go about it. Ashwini, who had looked over Amit’s plan, offered him the required help and insights to start off and also advised him on the right packages/products to invest in to keep him on top of the wave, keeping in mind the nature and requirements of his business. Apart from offering business-related technical assistance, Ashwini was also a constant source of encouragement and kept nudging Amit to strive further. Within a year of the setting up his business, Amit now is ready to take a crack at even Dedicated Servers! Ashwini has been working with Lukasz on custom campaigns where volume growth commitments are set for him and accordingly, price discounts are offered. Offers are often tweaked and redesigned to meet the business goals. Such a combination of marketing/pricing strategies has helped Lukasz provide attractive deals to his customers and better his own numbers, thereby inching closer to his targets. In just about 2 years of association with us, Lukasz’s business has witnessed phenomenal growth! We call Ashwini the web products wizard and her quick thinking and action take everyone by surprise. She’s a pleasure to work with and her resellers’ opinions of her only reiterate this fact!